Carol B. Ervin practices primarily with the firm’s Employment and Labor Law practice group. She is an experienced trial attorney and is a Fellow of the American College of Trial Lawyers and an Associate Member of the American Board of Trial Advocates. Carol is certified as a specialist by the South Carolina Supreme Court in employment and labor law and is a certified mediator. She is the Chair Emeritus of ALFA International, the Global Legal Network, former Chair of ALFA International’s Labor and Employment Practice Group. 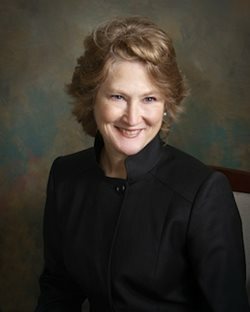 Carol has been selected multiple years by her peers as Lawyer of the Year in Best Lawyers ®, for Charleston in the specialty of Labor and Employment Law—fewer than 3,000 attorneys were designated Lawyer of the Year worldwide and across various specialties. She has also been recognized by South Carolina Super Lawyers® in Labor and Employment Law (2008, 2009, 2010, 2011, 2012, 2013, and 2014). Carol has received the AV Preeminent™ Rating Judicial Edition, which is the highest possible rating an attorney may receive for both legal ability and ethical standards.